Foster care organization Monroe Harding is pleased to announce the promotion of five staff members, Rhonda Allen, Shan Edmondson, Melissa Goosens, Leah Susi and Sarah Brock. Foster care organization Monroe Harding is pleased to announce the promotion of five staff members, Rhonda Allen, Shan Edmondson, Melissa Goosens, Leah Susi and Sarah Brock. Allen will take the role of Vice President of Programs, working closely with the directors of the organizations’ Foster Care, Independent living and Youth Connections programs and Edmondson steps into the Director of Foster Care role, working with children and families. As Director of Strategic Development, Goosens will be responsible for exploring growth opportunities in programming and providing outcome data to stakeholders and grant funders. Susi moves into the role of Director of Development to increase fundraising initiatives and donor engagement and Brock’s role as Director of Communications and Community Relations will focus on the organization’s visibility and community partnerships. 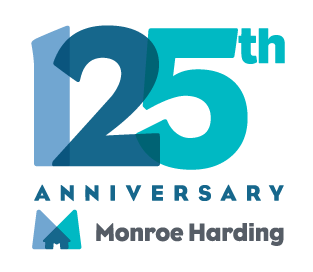 For over 125 years, Monroe Harding has continually adapted to meet the needs of more than 16,000 children and youth in Tennessee who have been abused, abandoned or neglected. They provide services to children currently in foster care, and to those who have aged out and still need support and guidance toward independence. Learn more about Monroe Harding, find answers to frequently asked questions about foster care, and discover how you can get involved by visiting the website: www.monroeharding.org.